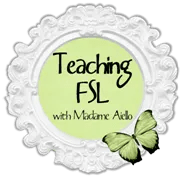 The challenge that is the subjunctive… | Ici on parle français! ← Increasing oral fluency is tough work! Admittedly, a week of grammar does sound quite boring, so I had to come up with ways to make it interactive and interesting. I started by correcting the homework, which was practice with forming the subjunctive. Then I explained when the subjunctive is used. In grade 9, we only focus on impersonal expressions. After that, we did a quick oral activity about things that would or would not be important for their independence. For example, the question would say: “avoir une carte de crédit” and they would have to say something like: “Il sera important que j’aie une carte de crédit.” I got this activity from Voyages 2, which is an older text that was used in the early 90’s here in Ontario, but which I aboslutely still love. We did this as a class, but I always try to make sure that all students get some talking time in class, so for the next activity, I had them choose a partner. Then I told them to decide who was going to be “A” and who was going to be “B”. On an overhead transparency, I gave them a set of situations. They had to use the list of impersonal expressions I gave them to give the other person suggestions. I found this activity on-line last night and I was so glad that I did. It worked so well. I modified it a bit by coming up with some different situations. To finish the class off, I had them listen to “À ma place” by Axel Bauer and Zazie. They were to fill in the missing subjunctive verbs as they listened. I deliberately didn’t show them a video because I wanted them to focus on the lyrics. Not all of the expressions were impersonal ones, but I used the song anyways so that they could hear the subjunctive being used. I used Grooveshark to play the song on my laptop which was hooked up to some speakers. Any song that I’ve needed to play in my classes, I have found on Grooveshark. It’s definitely my go-to website for music. 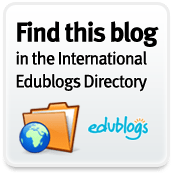 This entry was posted in Education, French, High School, Teaching, Uncategorized and tagged Cooperative learning, French immersion, Grammar in context, Speaking activities. Bookmark the permalink.